Reading Arlene's review reminded me to write something about this product as we had the same experience (the serum is too much heavy or sticky for my hair when used all day, so I stopped using). But then seeing suggestions from the editor of this page, I did try using it as an overnight hair treatment, and it works really well! I've been using it for over a week only but I can already see the results. My hair used to be frizzy, but currently I am enjoying much of it as the ends are now soft and wonderful to touch. Indeed it is worth a try! I have a straight hair that is slightly unruly and I don't go for rebonding or relaxing because I get a lot of hairfall from those treatments. This is why I simply use hair serums to put my strands in place. 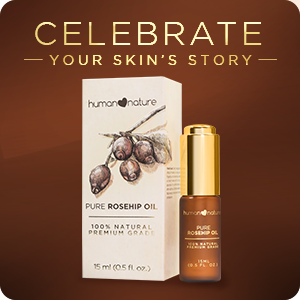 I have been using another brand which works well for me but I am a fan of Human Nature's all natural products so I tried the smoothing serum when it came out. Unfortunately, it is too heavy for my hair. I've tried reducing the quantities I put on my hair but at the least amount that it did not make my hair look oily or wet, it also didn't have an effect on managing my unruly strands. So now I am back to my previous brand, which is unfortunate because I would really rather go for an all-natural formulation :( On the good side of it, I have friends who have curly and really frizzy hair who tried the HN serum and it worked pretty well for them :) [EDITOR'S NOTE: Hi Arlene! Thank you for your feedback. We're happy that our 100% Natural Smoothing Hair Serum worked so well for your friends, though we're sorry to hear that it didn't work so well for you. While it's formulated to help tame frizz and nourish your hair from the inside, its effectiveness may still depend on your natural hair type. If you would like to continue to enjoy the naturally nourishing benefits of our 100% Natural Hair Serum, it also doubles as an overnight hair treatment to help restore your strands with hair-essential nutrients as you sleep. Simply rinse it off with our 100% Natural Clarifying Shampoo in the morning and you're ready to hit the town :) Our Customer Service would like to get in touch with you to learn more about your experience and help you find the products that work for you :) Thanks so much! I have straight but really damage hair because I colored it recently. Last month, I bought HHN's hair serum in the hope that it can help my hair and I wanted to try an organic product just to test if it can really help. I apply it at night because it makes my hair heavy and greasy if I put it in day. After washing my hair, I can really feel the difference! My hair's smooth and healthy looking. Now, I can honestly say this hair product is awesome although I don't use it to tame frizzy hair but it has really helped restore my damage hair. I stopped rebonding my hair when my scalp was badly inflamed and flaking, after all those weekly and monthly treatments. To manage my wavy and frizzy hair, I use anti-frizz serums which contribute to my scalp problems. When I tried this, my hair behaved that I don't need to style it. I also use this at the ends of my hair. People thought I had digital perm but it's just my natural wavy hair! I can't go without hair color and so far, this helps my hair look shiny and feel soft - and it seems to prolong the color. I just wish it smelled better. I've got thick black "frizzy" hair and ever since I've been using HN hair serum my hair has been really frizz free and it feels and looks so naturally soft, straight and shiny! I feel even more happy knowing that the serum is all natural!. I love it! This is the 3rd day that I've used this and this is also the 3rd day that I've lasted an entire day without tying my hair up. This hair serum really does the job of smoothing my hair and making it frizz-free. I LOVE IT! i really love this product! when i started using this, i said goodbye to buhaghag hair. it makes hair smooth and shiny. and i really love the scent! Superb product! I've been using this from launch day until today :) I felt the difference on my hair, it makes it more soft and healthy but not greasy. 1 bottle goes a long way, 1-2pump is all you need. More affordable way to maintain healthy and beautiful hair than regular salon treatment for hot oil or hair spa. One of the best products of HHN that is perfectly fit for my buhaghag hair, kasi kahit anong shampoo and conditioner gamitin ko, buhaghag talaga. Pero dahil dito, nakakapaglugay na ako ng hair ko. Super Love it! This product provides instant taming to frizzy hair. The only drawback is that it does not wash off easily. I find that I need to use more shampoo on my hair (sometimes I shampoo twice) just to get a lather and get that 'clean hair' feel again. But overall a better alternative to silicone/dimethicone hair serum products. Usually, after 3days of using hair serums my skin breaks out in pimples and eczemas. After a month of using HHN's Natural Smoothing Hair Serum, I am proud to say my skin did not react negatively. Plus my hair is shiny and frizz-free. I also like that it deepens the black color of my hair. Best ever! I have tried other brands before and it makes my hair looks greasy. This product is so light and de frizzes my hair instantly. Great way to tame your frizzy hair. And smells good too! I have wavy and mildly frizzy hair and this hair serum does the most amazing job! Since I have long hair I apply a full pump of the product all over my damp locks. Once dry, my hair stays bouncy but smooth and frizz free. I love that the mild scent complements the vanilla scent of the moisturizing shampoo and conditioner too. This product is very good. It tames my frizzy hair instantly! Very light and not greasy at all. Experience nature’s transformative care with our premium 100% Natural Smoothing Hair Serum! This day and night wonder has a light, silicone-free formula that penetrates each strand to give you a frizz-free sheen and natural protection from damaging elements during the day. At night, use as a leave-on treatment to allow soybean, broccoli, and sunflower oils to deeply nourish your hair as you sleep – to bring back its natural healthy state! Did you know: Most hair serums, even the most expensive ones in the market, are silicone-based. But silicone does more harm than good to your hair, damaging your strands in the long run. It coats the hair like cheap plastic, giving it an artificial sheen. As a result, your hair does not get the proper nourishment it needs. Build the day and night hair serum habit! During the day, hair is subject to heat, pollution and other environmental stress that could damage it. Give your locks the proper protection by smoothing on the hair serum before you leave the house. Complete your routine by letting your hair soak all the goodness of soybean, broccoli and sunflower oils at night, while you sleep to help restore your hair’s healthy state.